Kred is the world's most transparent Influence Metric. We tell you exactly how we find your score. To calculate your Kred, we analyze billions of tweets from the last 1,000 days. We add your Facebook actions when you connect your account. Kred scores reflect Trust and Generosity, the foundations of strong relationships. All of our Kred badges show Influence Scores on the upper left and Outreach Levels on the lower right. Influence is the ability to inspire action. It is scored on a 1,000 point scale. We measure Influence by assessing how frequently you are Retweeted, Replied, Mentioned and Followed on Twitter. If you connect your Facebook account to your Kred profile, you get Influence points when people interact with your content on your wall and the walls of others who have registered their Facebook account with Kred. Facebook interactions counted towards your Kred include Posts, Mentions, Likes, Shares and Event Invitations. Outreach reflects generosity in engaging with others and helping them spread their message. Since we believe that the capacity generosity is infinite, your Outreach score is cumulative and always increases. 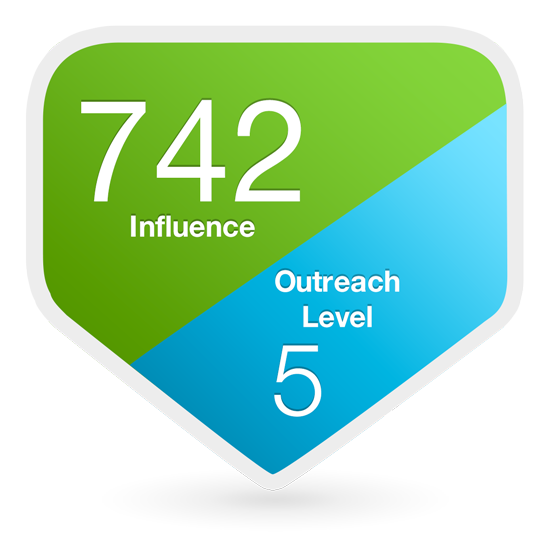 As of June 2012 the highest Outreach Level anyone has reached is 12, and we expect that higher levels will certainly be achieved in the future. We measure Outreach on Twitter by your Retweets, Replies and Mentions of others. When your Facebook account is connected to your Kred profile, you get Outreach points for interactions on your own wall and the walls of others who have registered their Facebook account with Kred. Interactions counted towards Kred include Posts, Mentions, Comments and Likes. Give your favorite Influencers extra recognition with +Kred. When you give +Kred to someone, they receive 70 Influence Points in the community of your choice. You will also be rewarded with 30 Outreach Points in the Global Kred community for your generous action. Like everything else about Kred, +Kred is completely transparent. You can see anyone’s received +Kred on their Kred Story or see their points in their real time Activity Statement.